Blackjack, Roulette, Craps, Big Wheel, Hold'em, Caribbean Stud, 3 Card Poker, Let it Ride, Slot Machines and more! 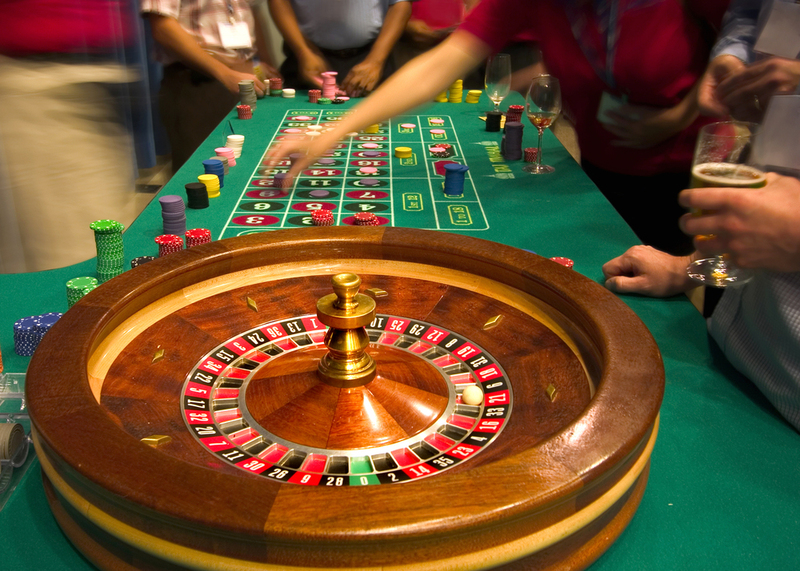 One of the most exciting casino table games. In casinos, you often hear players cheering for their favorite numbers. You can bet for or against the roller. 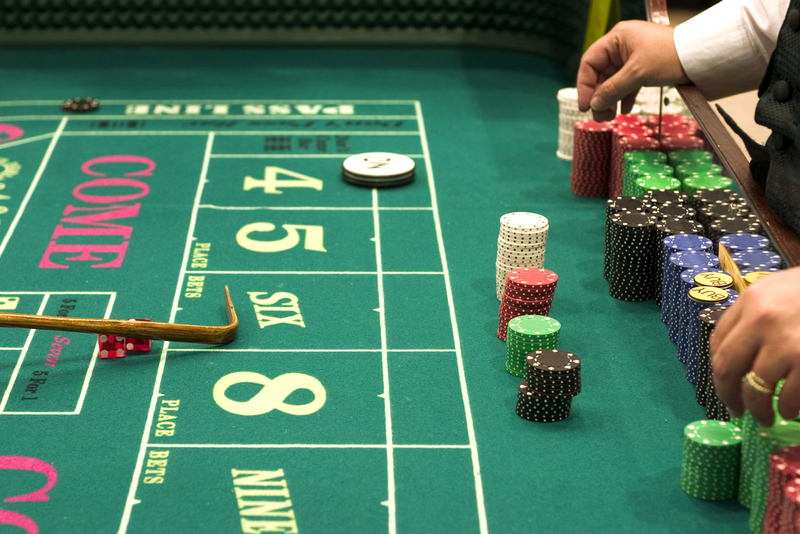 Craps can be intimidating to new players, so Casino Night Out' dealers take the time to explain all the rules. A game where you place bets on numbers, combinations of numbers, or colors on a grid like layout. A small ball is spun on a wheel with 38 numbers. The ball eventually drops in to a slot, selecting a number and color. Poker, especially Texas Hold'em, has taken the country by storm. Add a poker table to your casino party or have a complete World Series of Poker style Hold'em Tournament. 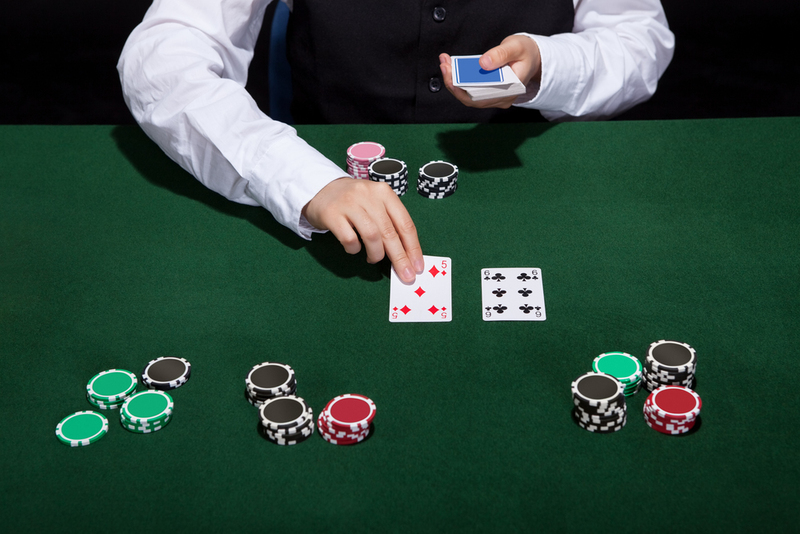 Either way your guests will be putting on their best poker faces enjoying America's new favorite pastime. The sounds of payout and the bright flashing lights makes you feel like you just hit the jackpot in Vegas. Nothing adds to the feel of a casino like one, two or three of our beautiful slot machines. While most parties prefer the above games. If you have a particular game in mind please contact us; most likely we can accommodate your request. In addition to the Casino business we are a full service entertainment company with a variety of musical options for your party. Would you like to bring the classic feel of the golden days of the Rat pack with a Frank Sinatra impersonator, or Elvis? We can offer you the full sound and repertoire of a professional DJ. If you would like something scaled down we offer a Virtual DJ Setup with professional sound equipment preprogrammed with a selection of your favorite music. The inflatable money grabber is sure to be a hit at your party. This attraction has a high powered fan that blows around vouchers or cash while a person inside frantically tries to grab and hold onto as many as possible. We will take a digital photo and customize the play money specifically for your party. If you would also like to put text on the play money such as "Happy Birthday" or "Congratulations" we can do that.